Um, awkward: "'I've heard of him,' said Sen. Dianne Feinstein…. 'I'm not going to make any comment now.' Asked if she was leaning one way or another, Feinstein, visibly irritated, leaned in and put her hand on this reporter's cheek [link goes to a reenactment]. 'I just said I want to wait for the hearing,' she replied." Neat! Can we touch you too? And how would you feel about being wiretapped like the rest of us? No? FYI, if you think that mailing your manuscript to yourself will somehow help protect your copyright, as some people apparently do, reading this will save you the postage. TL,DR: a work is protected as soon as you create it, although registering it may be a good idea for various reasons. Be careful, though, if you plan to dictate your book to someone, because there may later be a dispute over who holds the copyright in the finished work. Even if you are Jesus. 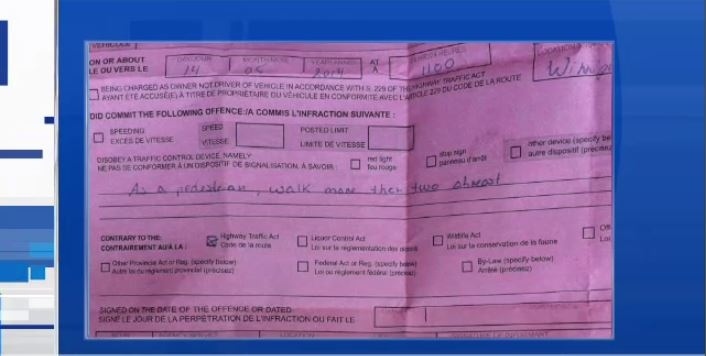 Hey Manitobans, you should be aware that in your province it is illegal for persons walking on a roadway to "walk more than two abreast." And they do give out tickets for that. You should also be aware, though, that making a big stink about said ticket on Facebook might get that ticket voided and a different one issued for a more serious offense that (as commenters speculated) you were also committing at the time although the officer had originally cut you a break by citing you only for "two abreast."